The game is extremely simple—you tap the colorful bubbles to clear all the matching bubbles of the same color in that group. 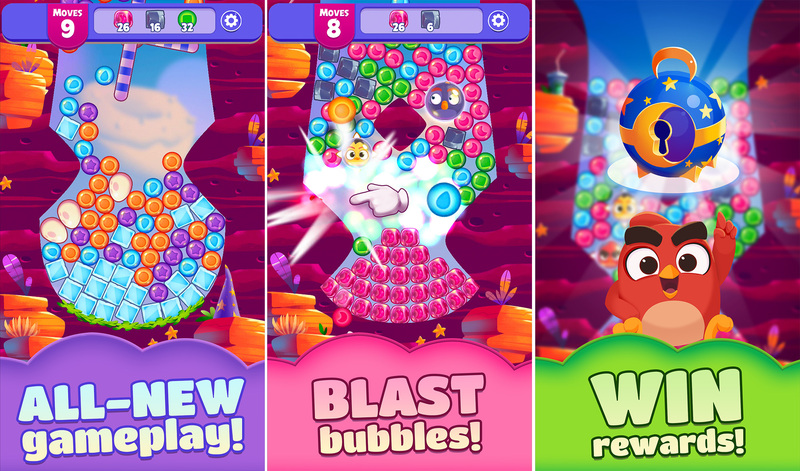 Eventually, you'll uncover Angry Birds characters that help you clear more bubbles. When you've cleared all the necessary bubbles, you win. It's a bit like a mix of Bust a Move and Bejeweled. Don't act surprised; Rovio isn't exactly known for original gameplay. After all, the original Angry Birds was a Crush the Castle clone. I'm going to blow your mind here: the game is free-to-play with ample in-app purchases. I know, shocking, right? The IAPs go up to $99.99, allowing you to purchase premium currency and special items. The game already has more than 100,000 downloads (it was soft-launched in select markets several months ago). Don't resist. Consume!